Note: There are no funds available at this time. The Federal Home Loan Bank of Des Moines (FHLB-DM) offers an Affordable Housing Program (AHP) designed to assist in the development of affordable housing for low- and moderate-income households. The FHLB funds the AHP with an annual allocation of 10% of the FHLB’s profits. Therefore, the total amount of funding in the pool varies from year to year. Since 1998, Habitat Minnesota has been awarded a total of 19 grants for over $6.4 million in support of new Habitat homeowners and Minnesota Habitat affiliates and two grants totaling $473,800 for owner-occupied rehab projects*. New Construction (Grant 16A08) $240,000 (25 units at $9,600 per unit). 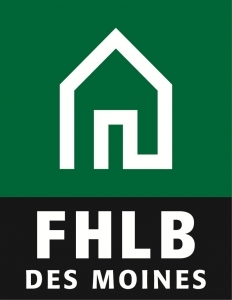 In order to start the qualification process, please refer to the FHLB New Construction Checklist. Prequalification: Upon completion of the home please submit those items detailed and in the format requested in the pre-qualification section of the Checklist. Prequalification items include detailed construction costs, income verification and the appraisal. Once pre-qualified, we will advise that you can proceed with closing. Post-closing: After the homeowner has closed on their mortgage, please submit the remaining items listed in the Checklist including copies of all closing documents, a copy of the recorded Deed Restriction, the HUD-1 or Closind Disclosure, and the $960.00 processing fee. Disbursement: Upon receipt of all necessary documentation, the project will be submitted to the FHLB for their review and payment. The disbursal process can take up to two months, depending on the number of files submitted and questions on file documentation by FHLB. 8. The Federal Home Loan Bank of Des Moines requires that 20% (5 of the 25 homes) be built for disabled or elderly households.